"Blank Emails" are still in active service. 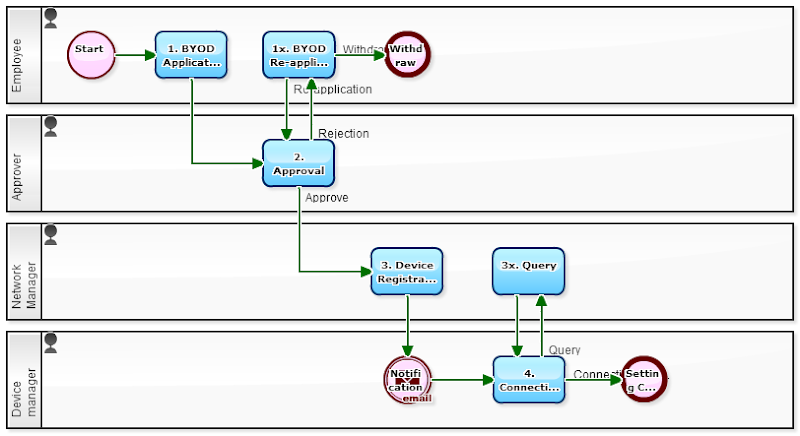 The following is a simple business process of "a Workflow starts with email receiving". You can manage a series of work after receiving an email in status. It may be applied to various businesses with a small enhancement. In this sample, a flow of the followings is defined; (1), auto replying a thank you email, (2), qualifying the applicant, (3), registering the applicant to the list. As a matter of course, it is also good to describe an HTML to induce to the registration site. 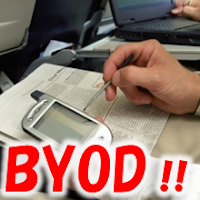 BYOD stands for Bring Your Own Device. That is to utilize privately owned Smartphone and the like for "day-to-day operations". 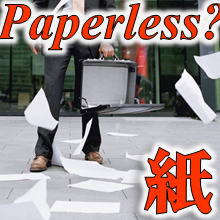 Although it varies by the surveys, in Japan today, about 20% of companies "permit", 30% "prohibit", and the rest "abandon" BYOD. Also in United States, 80% of the companies "permit", and less than 10% "prohibit". It is absurd that using own Smartphone "totally private only" nowadays. Sometimes you might catch an incoming "call" from the company to your private Smartphone. Then you ought to be allowed "mail checking" while on business trip or in transport. In my own opinion, to start with 'reading and writing email (Webmail)', 'checking the schedule', and 'processing tasks through the Workflow (especially on draft-approval)' should be allowed. Workers want it as well. In the first place, in this "age of cloud", work style is changing rapidly, today. At this moment, the world economy has been sluggish, so we the human race must work harder. A radical revision of the business ought to be carried out more often though the policy settings to suit the business type × industries × scale is required. The world's GDP will be certainly improved, if they aggressively permit for example, 'working during move' or 'working at own home'. Anyway, you should avoid 'ambiguous BYOD' (leaving as is). It will be ended up with increasing of 'secretly act' which you don't know whether it is iniquity or not, such as forwarding company business mails, or duplicating business data to USB memory or to Dropbox and so on. Rather, you should let "right thing to do" to be known, and let it penetrate as a rule. A Ringi document is one of the documents to be circulated. Anyone who is a Japanese businessman knows it. Whereas "minutes" is created as a record of the decision-making on the meeting, "Ringi document" is a record of decision-making using a circulated document which is circulated to everyone who is concerned, is completed with name seal (stamp) of everyone and the approver. Both of these documents will be stored for a long time. Ringi is a unique system of "name seal-intensive Japanese". Despite it doesn't exist in countries other than Japan still is present in almost all of the Japanese company. What to say, it's like sticking on to shakkan-ho (a Japanese unit system that was used in the 19th century), instead of the metric system. But for the time being it is not likely to eliminate. It would indeed have been met Japanese ethnicity that involving a large number of participants before the person with authority to approve. 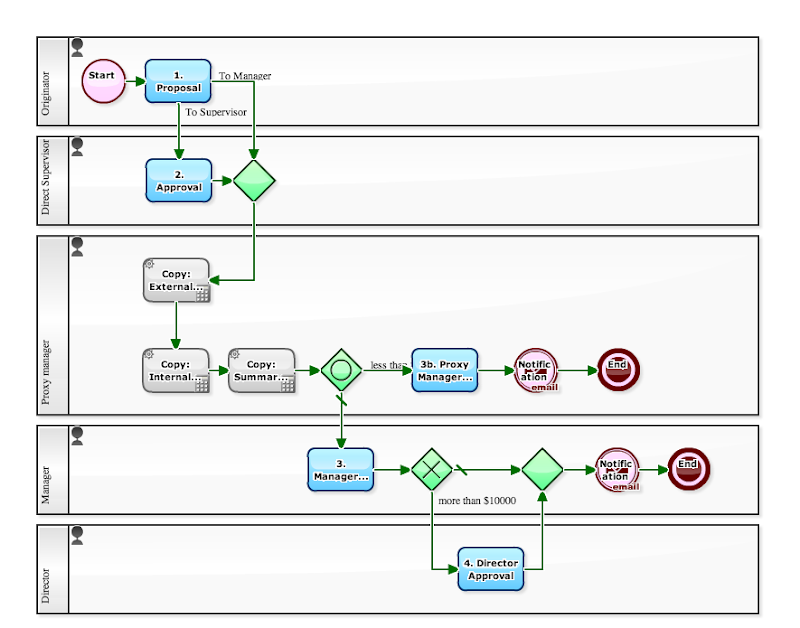 The following Workflow example is a Ringi flow that "prevention of retaining a large number of Ringi documents" has been built-in. It will help the managers who must give approvals on between 100 to 200 of Ringi documents monthly. I often watched TV shows accepting fax from viewers years ago. Rather on Twitter, recently? However, the fax still is a means of communication yet active. It is used in various scenes such as Mail-Order reception, interaction of drawings specifications with business partners. 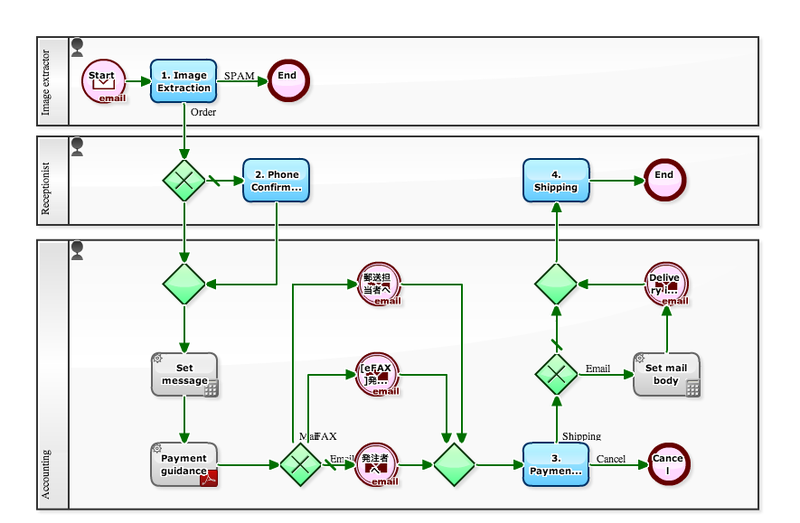 The following is a "Fax Order reception flow" for a mail-order retailer of small organization. The business process starts by "Fax Order" from the consumer saw the product catalog or product pamphlet. It is really great to receive fax orders from customers on "Internet fax". The receiving fax is converted to a PDF by the Internet FAX provider, and transferred to the Workflow system as an email attachment. Then the Workflow system triggers a process to start by the email. And you can't miss the point that part of the process is fully automated. That is, it is configured to automatically generate a document of "Guidance of payment", and a statement of "Guidance of items expected arrival", within the workflow system.